In a major decision, the Gujarat government has dropped its plan to develop Bhavnagar port as an alternative to the Dholera port in the Gulf of Khambhat. It had had given up Dholera port following its decision to go ahead with the Kalpasar project as a huge sweet water lake by damming the. The state government had offered the top state industrial group, Adanis, to develop Bhavnagar port as alternative to Dholera port, which the Adanis were to develop in association with the JK Group, to provide Dholera special investment region (SIR) a major boost. Dholera SIR, to be developed south of Ahmedabad district, off Gulf of Khambhat, is proposed as a modern industrial-urban centre. To be developed in three phases, each of 10 years, so far no investors have shown interest in Gujarat chief minister Narendra Modi's ambitious SIR. 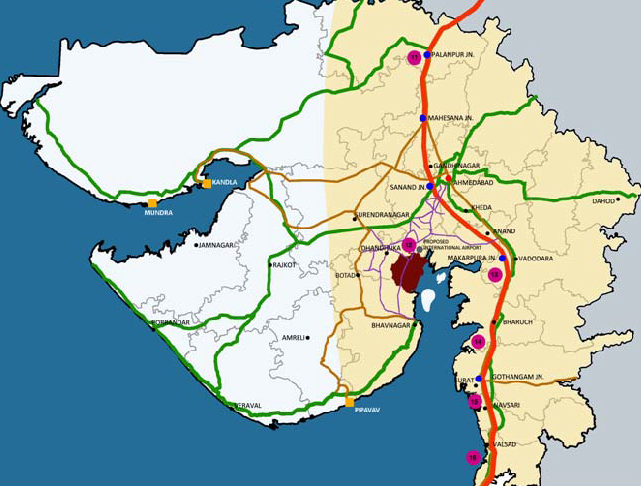 In 2011, in an effort to provide a major boost to the future of industrialization along the Gulf of Khambhat, the state government had decided to allocate alternative sites near Bhavnagar and Dahej to the Adani Group and the Infrastructure Lease and Financial Services (IL&FS), respectively, for developing new ports. The state government’s decision came after a final nod to drop development of ports at Dholera and Khambhat, for which letters of intent (LoIs) were earlier issued to the Adanis and the IL&FS. An internal official note of the state ports and transport department, prepared in August 2011, had said the two developers had “extended the Bank Guarantee towards LoIs to confirm their interest in development of ports at alternate locations.” The note had added, the Narmada, Water Resources, Water Supply and Kalpasar department had “approved modification in Kalpasar dam alignment”, leading to the need to relocate of Dholera and Khambhat ports “on the downstream of the proposed dam” – at Bhavnagar and Dahej. However, the state government has now topsy-turvied its own decision, saying that Pipavav port, situated about 160 kilometres west of the Dholera SIR, would be more suitable for investors wanting to transport goods overseas from the SIR, instead of Bhavnagar, which is just about 65 km away. 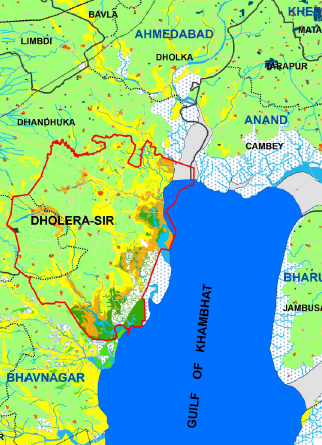 This has been made clear in the freshly prepared proposed Environment Impact Assessment report for Dholera Special Investment Region (SIR), prepared by the Senes Consultants India Pvt Ltd, prepared by the Delhi-Mumbai Industrial Corridor Development Corporation Ltd.
“Currently, the draft of Pipavav port is expected to be increased allowing the DSIR industries to export in larger volumes and reduce the logistics cost. Moreover, it is proposed to augment the capacities of Pipavav port and develop the port primarily for the purpose of handling containerized cargo. This proposed development is in line with the nature of industries proposed to be located in the Dholera SIR. Bulk of the production will required containerized transportation facilities”, the consultants said.